NOAA Assistant Administrator for Fisheries Chris Oliver (center) participated in the Western Pacific Regional Fishery Management Council meeting this week on Maui. 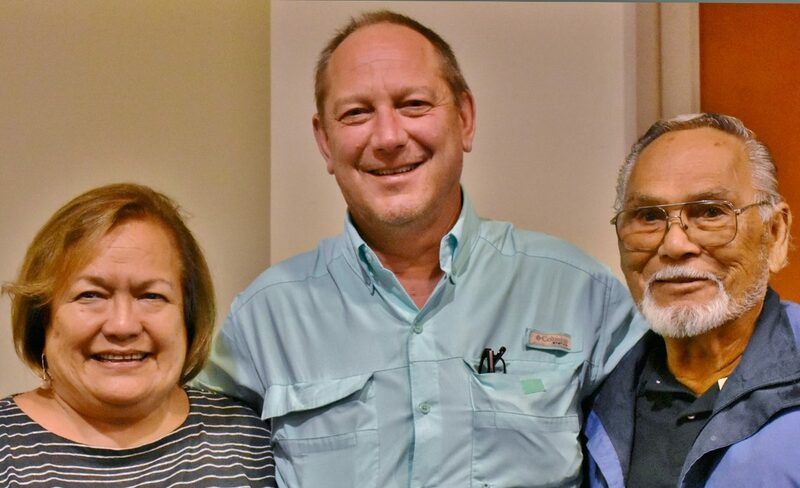 Also pictured are Council Executive Director Kitty Simonds and William Choy, founder of the Maui Cooperative Fishing Association. WAILEA, MAUI, HAWAII (12 June 2018) Federal fishery managers, meeting this week at the Wailea Beach Resort on Maui, Hawaii, have recommended an increase in the annual catch limit (ACL) for seven species of main Hawaiian Islands deep-water bottomfish species. The ACL increase from 306,000 pounds to 492,000 pounds would apply to fishing years 2018-19, 2019-20 and 2020-21. The new ACL recommended by the Western Pacific Regional Fishery Management Council is based on an assessment of the fish stock completed by the National Marine Fisheries Service (NMFS) in 2018. The recommendation will be sent to the Secretary of Commerce for final approval. Known as the Deep 7, the species include hapu‘upu‘u (sea bass) and six snappers: opakapaka (pink snapper), onaga (longtail snapper), ehu (squirrelfish snapper), lehi (silver jaw jobfish), gindai (brigham’s snapper) and kalekale (von siebold’s snapper). The season for the fishery runs from September 1 to August 31 of the following year, unless the catch limit is reached before August 31. If the ACL is reached, the fishery would close for the remainder of the fishing year. 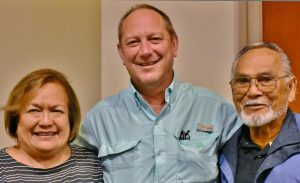 Reclassification of managed species: The Council voted to move some species from the “management unit species” category to “ecosystem component” category in the fishery ecosystem plans (FEPs) for the Hawaii, American Samoa and Mariana (Guam and Commonwealth of the Northern Mariana Islands (CNMI)) Archipelagos. Ecosystem component species are monitored but do not require certain management measures, such as the setting of ACLs and designation of essential fish habitat. The finalized draft amendments to the FEPs will be transmitted with a draft Environmental Assessment and Regulatory Impact Review for Secretarial review, as appropriate. Monitoring of catches: The Council will work with the US Territories of American Samoa, Guam and the CNMI to improve the accuracy and timeliness of catch reports. The Council will assist the Territorial fishery agencies to develop regulatory solutions such as mandatory licensing/permit and reporting (e.g., logbooks). The Council will also help the US Pacific Territories and the State of Hawaii to develop and improve data collection systems, such as a) a dedicated port sampler to conduct a full census of the bottomfish catch; b) more timely data transcription; and c) potential improvement and expansion of the commercial receipt book program, including an online cloud database. The Council will work with NMFS to investigate potential mechanisms to improve the local fishing agencies ability to address data collection logistical issues. The Council also asked the Western Pacific Fishery Information Network to explore other means of expanding data collected through creel surveys. Requests to NMFS: The Council asked NMFS to a) fix the 2017 Status of Stocks Report to Congress to accurately reflect that the Western and Central Pacific Ocean bigeye tuna is not subject to overfishing; b) conduct research in the Mariana Archipelago on local shark abundance and fishery interactions so as to document the species involved and interaction rates; and c) conduct an economic cost-benefit analysis on the use of large circle hooks in the American Samoa longline fishery to determine whether modifying the green turtle mitigation measures in the fishery may contribute to further reductions in interactions in the fishery without significant negative impacts on the fishery. Climate change: The Council will investigate whether harbor vulnerability studies have been conducted in the Western Pacific Region and, if they are lacking, write to the appropriate federal and/or local agencies requesting that the studies be conducted. Derelict vessels: The Council asked the US Coast Guard to develop a process to notify local governments, neighboring countries and mariners of derelict vessels and potential hazards to navigation and threats for vessel grounding. The Council additionally asked the Coast Guard to investigate satellite tracking technologies that could be deployed on derelict vessels. As part of the Council meeting, a Fishers Forum on the Hawaii Deep 7 bottomfish fishery was held June 11, from 6 to 9 p.m. at the Maui Beach Hotel in Kahului. NOAA Assistant Administrator for Fisheries Chris Oliver attended the meeting and the Forum. Background information and the agenda for the June 11 to 13 Council meeting, go to www.wpcouncil.org or email info.wpcouncil@noaa.gov. The Council meeting is open to the public and continues this afternoon and tomorrow to address protected species, administrative matters and management of pelagic, American Samoa and Mariana fisheries. Western Pacific Regional Fishery Management Council: Secretary of Commerce appointees from nominees selected by American Samoa, CNMI, Guam and Hawai`i governors: Edwin Ebisui Jr. (chair); Michael Duenas, Guam Fishermen’s Cooperative Association (Guam) (vice chair); John Gourley, Micronesian Environmental Services (CNMI) (vice chair); Dean Sensui, film producer (Hawai‘i) (vice chair); Archie Soliai, StarKist (American Samoa) (vice chair); Michael Goto, United Fishing Agency (Hawai‘i); Christinna Lutu-Sanchez, commercial fisherman (American Samoa). Designated state officials: Raymond Roberto, CNMI Department of Lands and Natural Resources; Suzanne Case, Hawai‘i Department of Land and Natural Resources; Matt Sablan, Guam Department of Agriculture; Henry Sesepasara, American Samoa Department of Marine & Wildlife Resources. Designated federal officials (voting): Michael Tosatto, NMFS Pacific Islands Regional Office. Designated federal officials (non-voting): Rear Adm. Brain Penoyer, USCG 14th District; Michael Brakke, US Department of State; and Brian Peck, US Fish and Wildlife Service.